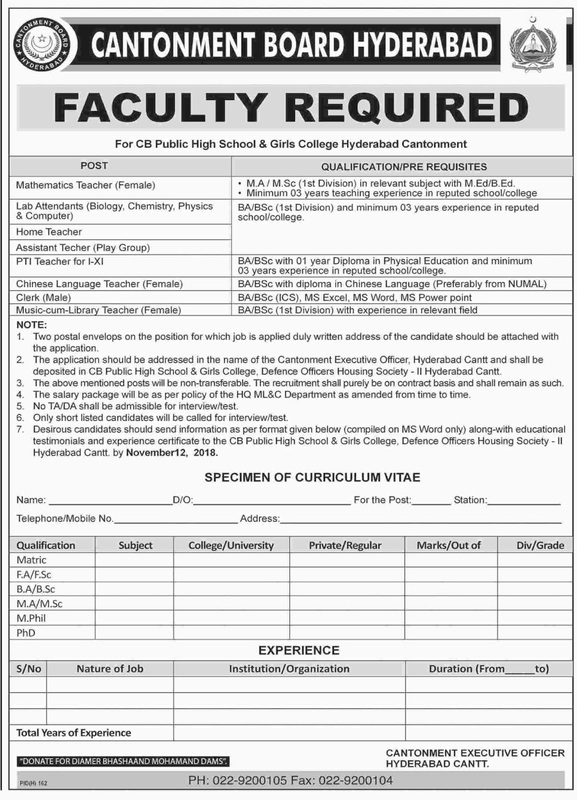 Cantonment Board Hyderabad has announced jobs in teaching department. Well educated and experienced candidates may apply. The application should be address in the name of Cantonment Executive Officer, Hyderabad Cantt and shall be deposited in CB Public High School and Girls College, Defence officer housing Society-II Hyderabad Cantt. Desire candidates should be send information as per format given below. 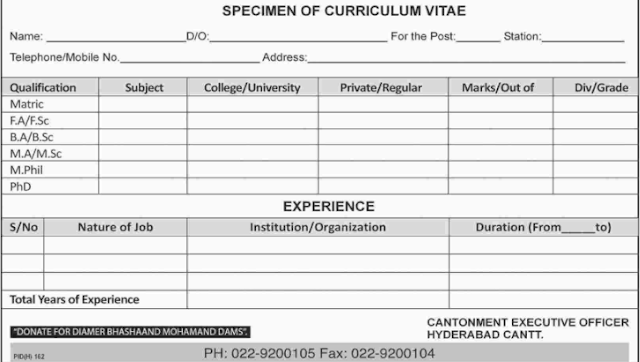 copy of Education degrees and experience certificates should attach with application. Two postal envelops on the position for which job is applied dully written address of the candidate should be attached with the application. The above mentioned posts will be not transferable. The salary package as per policy HQ ML&C department.